Mr. Sercarz, a member of the New York bar since 1977, has tried more than 100 major felony cases. His practice is focused primarily on criminal trials and appeals including public corruption, securities fraud, environmental and organized crime cases. Among his clients, Mr. Sercarz numbers judges, lawyers, members of law enforcement, and public figures. Mr. Sercarz is named among the best criminal defense lawyers in New York in the “Super Lawyers,” and he has received the AV rating from Martindale-Hubbell. He has been elected a Fellow of the American College of Trial Lawyers (an honor limited to only 1% of the attorneys in America). In December of 2016, Mr. Sercarz was named “Criminal Lawyer of the Year” by the Institute of Jewish Humanities. In October of 2017, Mr. Sercarz secured an acquittal for James Norizsan on eight counts of filing false statements in ERISA documents in United States District Court for the Eastern District of New York. The charges related to the Captain’s Reports and Remittance Reports of Showbiz Trucking. In April of 2014, Mr. Sercarz represented a lawyer in a public corruption case involving allegations of fraud and kickbacks in real estate development projects financed through HUD and the New York City Department of Housing Preservation and Development. Following a three week trial the defendant was acquitted on all charges. 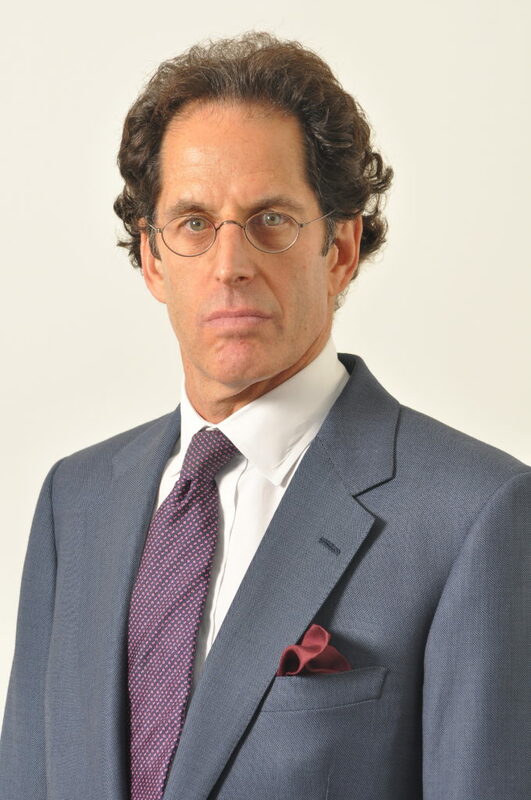 Within a span of two months during the summer of 2006, Maurice H. Sercarz obtained an acquittal in Supreme Court, New York County, for a decorated New York police detective allegedly involved in the 23rd Precinct bribery scandal; and then, teaming with his partner Roland G. Riopelle, secured the acquittal of a New York Stock Exchange specialist on charges of securities fraud in Federal District Court for the Southern District of New York. Among his other notable trials were the lone acquittal among 18 defendants charged with membership in the infamous “No Name” heroin organization; and his recent acquittal of a defendant on charges of murder in New York County notwithstanding a full confession. I read the transcript of Darcy’s sentencing hearing last night. I wanted to write to let you know I thought you did a truly beautiful job. In fact, I don’t think I ever read/heard a more sensitive, moving or effective sentencing presentation. I read portions of it to my wife and we were both moved by it. It was inspiring to me and made me proud to be a criminal defense lawyer. I actually found myself welling up with pride, knowing that I do the same thing that you do for a living even if I’ll never ever pull off something that remarkable. Amazing, amazing work. Mr. Sercarz’s successful advocacy has not been limited to the trial courtroom. In 1981, Mr. Sercarz represented one of the six defendants originally arrested in the notorious Brink’s robbery which resulted in the killing of an armed guard and a Rockland County Police Officer and the highly publicized arrest of members of the Weather Underground and the Black Liberation Army. When Mr. Sercarz entered the case, his client was facing possible murder charges in Rockland County and was jailed as the result of her refusal to provide fingerprint, handwriting and hair samples to a Federal Grand Jury in the Southern District of New York. In short order, Mr. Sercarz won a reversal of the contempt proceeding in a landmark Federal Appeals decision, In Re Rosahn, 671 F.2d 690 (2d Cir. 1982) which limited the capacity of courts to conduct contempt proceedings from which the public is barred. Meanwhile, Mr. Sercarz obtained evidence establishing that his client was not involved in the Brinks holdup leading the Rockland County Attorney’s Office to dismiss all charges against her. A graduate of Wesleyan University and the University of North Carolina School of Law, Mr. Sercarz founded Sercarz & Riopelle, LLP with his partner, Roland G. Riopelle, in 2003. Mr. Sercarz has taught trial advocacy as an Adjunct Professor of Law at Fordham University School of Law. He has lectured on a variety of criminal law topics for the following organizations and programs: The Intensive Trial Advocacy Program at the Benjamin Cardozo School of Law; The National Institute for Trial Advocacy (N.I.T.A. ); The National Association of Criminal Defense Lawyers (N.A.C.D.L. ); The New York State Association of Criminal Defense Lawyers (N.Y.S.A.C.D.L.) and the Criminal Defense Division of the Legal Aid Society. Mr. Sercarz has appeared on numerous television shows to discuss topics pertaining to the criminal justice system including the Today Show; Fox News Network and Court TV. Mr. Sercarz is admitted to practice before the United States Supreme Court, federal courts in the Second and Third Circuits, and the State Bars of New York and New Jersey. He is a member of the New York Council of Defense Lawyers, The National Association of Criminal Defense Lawyers, The New York State Association of Criminal Defense Lawyers and The New York Criminal Bar Association.